Narcolepsy is a medical neurological disorder that make you feel sleepy whenever you are in a relaxing surroundings or whenever you are resting. People who suffers from Narcolepsy sometimes suffers an intermittent or random times when he or she falls a sleep throughout the day. Calaplexy is one of the common symptom of Narcolepsy. Cataplexy is an attack that when experienced, your muscles involuntarily and temporarily weakens due to a response in emotion such as laughter, anger, fear and other strong emotions. It also involves irregular patterns in Rapid Eye Movement (REM) Sleep and significant interruptions of the normal sleep/wake cycle. Sleep Apnea is a possibly serious sleep disorder in which breathing repeatedly stops and begins again or your breathing pauses infrequently. Men, overweight people and obese people are prone to have Sleep Apnea. Sleep Apnea is so serious that when left untreated, may cause the person to have heart disease, stroke and cardiovascular disease. It has two types: Obstructive Sleep Apnea and Central Sleep Apnea. Shift Work Sleep Sleep Disorder is a condition wherein you are having trouble sleeping because of the daily change or rotation of shift in your job. SWSD is characterized by either insomnia or excessive daytime sleepiness. You may have this condition when you are having trouble sleeping when it is time for you to sleep and you are always feeling sleepy when it’s time for you to work or be awake and alert. This occurs because your body clock or internal body clockk is disrupted by the rotation of your shift which changes regularly, and your body clock gets confused. Shift Work Sleep Sleep Disorder is commonly experienced today by call center agents, nurses and other shift workers. Attention Deficit Hyperactivity Disorder (ADHD) is a neurodevelopmental psychiatric disorder wherein you have difficulty in paying attention and you are having trouble controlling impulsive behaviours. It may also make you overly hyperactive at times. ADHD is also characterized by short attention span and difficulty in concentration. Most of the symptoms of ADHD begins in childhood. Impulsiveness and hyperactivity shown by a person with ADHD is usually not appropriate for a person’s age. This condition is characterized by an uncontrollable and persistent sleepiness during the day even after you have slept soundly and lengthy at night. EDS is often accompanied by lack of energy, poor health and the risk of having obstructive sleep apnea. You feel tired all the time, and may experience Cataplexy, sleep paralysis and hallucinations when you are suffering from Excessive Daytime Sleepiness. Fatigue is experienced when you are always feeling extreme tiredness, lack of energy and difficulty in focusing. This may happen when you are over-worked physically and mentally or when you are emotionally stressed. Fatigue is not the same as sleepiness or it cannot be cured just by sleeping, though you may feel a bit better if you sleep, it will not suffice to cure it. Fatigue is cured by medical treatments.. These sleep disorders and conditions usually makes you irritable and depressed. You may also experience lack of energy and difficulty in concentration when suffering from any of these conditions. It keeps you from doing what you need to do during the day, keeps your time wasted in unnecessary sleep and robs the time that should have been spent for your family or yourself. Waste no more time and try taking Modafinil, the drug that treats all these disorders and see what wonders it can do for you. 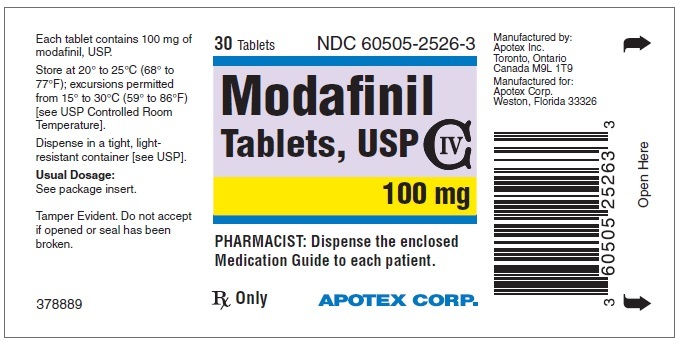 How to buy Modafinil(Provigil) ?